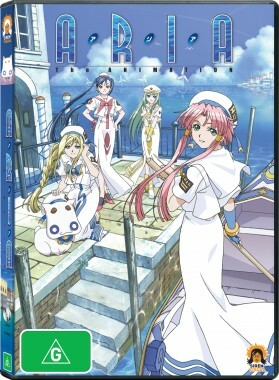 Aria tells the story about a young woman named Akari, who migrates from her home planet, Manhome, in order to live in Aqua and work in the city of Neo-Venezia. Now the interesting thing here is that Neo-Venezia is based on the city of Venice in Italy, and shares the same style of architecture, history, and culture. Taking place in a distance future, Neo-Venezia has fairly advanced technology, but even so the inhabitants still enjoy a simple and traditional lifestyle, as they still go about collecting firewood for winter, cooking meals the good old fashioned way, and appreciating the technology-free lifestyle of the generations before. Aria arrives in this new planet in hopes to have a career as a gondolier, and joins the Aria Company, one of the major water-guide companies operating in the city. Much like the city of Venice that it’s based on, gondolas are a popular means of transportation and a big tourist attraction even in the presence of flying motorbikes. It’s a very unique and interesting setting, but for the most part you forget about the sci-fi futuristic element of the show as it’s very much a slice of life anime taking place in an alternate post-modern version of Venice. Aria the Animation is just this very sweet and adorable series, full of positive vibes and uplifting themes. The anime is just filled with examples of pure human kindness and beauty, and as such will give you a welcome break from anime that explore darker themes…or even reality for that matter. It portrays a world where kindness is encouraged and acknowledged. As such, it’s a show that is quite suitable for children as the themes are very simplistic and sweet in nature, usually giving some lesson in kindness and good deeds. On the note of it being suitable for children, the show can be a bit childish at times, in a way that you see characters that are well into their teenage and adult life, acting like absolute children. This one episode has a right-handed 14 year old girl pondering over the usefulness of her left hand, and the entire episode pretty much focuses on that plot, by the end of which she is able to realise that her left hand is in fact useful and important. This is the type of subject matter you would expect from a preschool television show. That aside, it’s still a pleasant viewing experience. The characters are cute and humourous, and there is a fair bit of character development within the 13 episodes and each episode explores a unique theme. 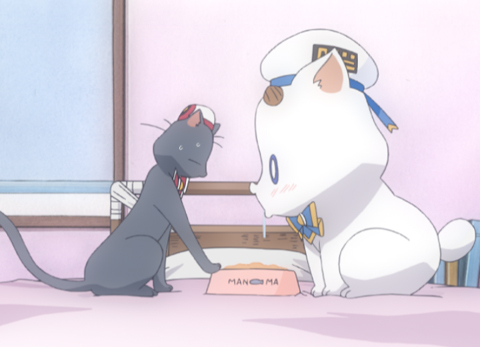 One of the more likeable characters in the show is an overweight cat named President Aria, who is actually quite smart and brings in much of the comic relief, the little bloke even takes the spotlight in some episodes, which are pretty fun to watch. The short-length of the season is put to good use, and it all ends on a satisfying and reflective note, giving it appropriate closure. It’s fun for what it is, and what’s really nice is that it does not overdo the positive happy energy, as instead it does it in a very subtle and pleasant manner. 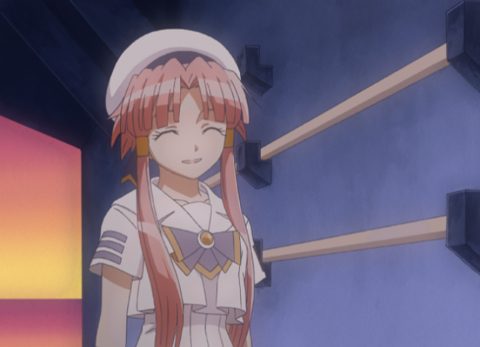 Aria the Animation is a nice looking show, the character designs are fairly generic but still pretty charming, and in particular President Aria has a very likeable and memorable design. The set pieces and backgrounds look pretty nice, but what’s really good about the visuals is the use of soft and bright colours to create a relaxing atmosphere. The music is pretty much the icing on the cake, and really complements the general demeanor of the show. 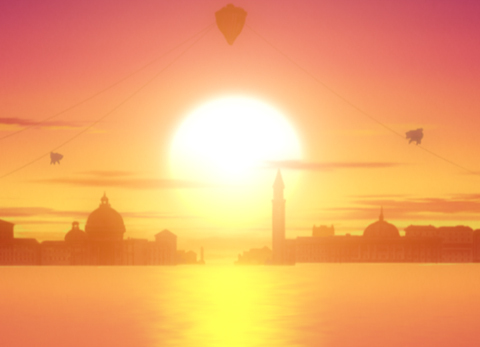 The soundtrack is characterised by soft and beautiful acoustic guitars, and does a very nice job of capturing the feel of being in Venice. The opening and ending theme songs feature some very soothing and beautiful vocals, and what’s cool about the opening is that it features new animation in every episode. Disc 3 of the DVD set comes with a nice collection of extras. It contains lengthy interviews with the Japanese voice cast of the show. Another cool extra is a short film highlighting the trip that the creators of the anime took to Venice, Italy, in order to research set pieces to be used in the anime. Finally, there are usual trailers and the clean opening/ending sequences. 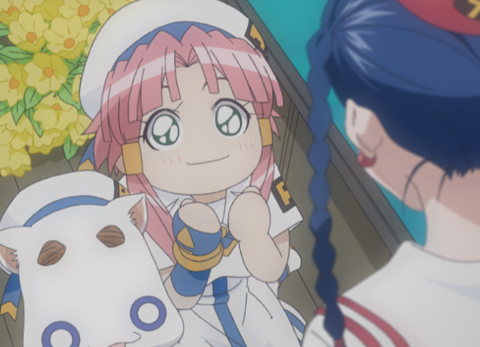 Aria the Animation is a very simple and charming show, it’s a very subtle and laidback viewing experience that takes place in a rather beautiful and inspiring recreation of one the most popular tourist destinations in the world today. An anime about gondoliers may not sound like something that could work very well, but Aria the Animation pulls it off nicely, that too in a futuristic sci-fi setting. That said, the actual execution isn’t too different from your typical slice of life anime, and the themes present can come across as a bit too childish and happy go lucky. 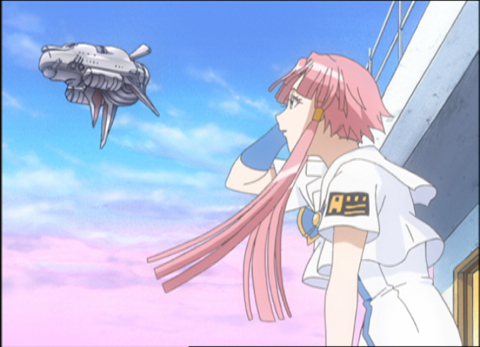 At the end of the day, Aria the Animation is a solid show for what it is.